One of the most fascinating gemstones, the emerald can be even more valuable than a diamond depending on its quality. 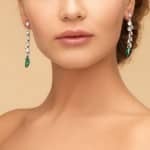 In fact, the emerald is becoming increasingly popular as a more affordable option to the ubiquitous and expensive diamond as an engagement ring. An excited “yes” is in store for the man who gives a woman a vintage emerald ring when he proposes marriage. Emerald, “esmeralde” in Old French meaning, literally, green gemstone, was regarded as sacred by the ancient Aztecs of Mexico and Incas of Peru and these two countries are where the world’s best emeralds can still be found today. The oldest known emeralds, however, were already being mined in Egypt for the country’s ancient pharaohs and exhausted by their rediscovery in the 19th century’s early part. 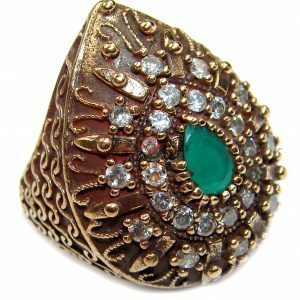 Emeralds are supposed to bring good luck and enhance the well-being, according to the Indian scripture known as the Veda, and its green color continues to occupy a special place in various religions and cultures. Because the emerald’s green color represented beauty and constant love for centuries, it is no wonder that more and more couples prefer emeralds to be crafted as vintage style engagement rings. 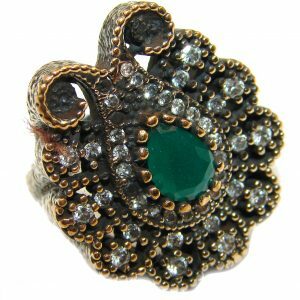 You should know, however, several factors about emeralds in particular and vintage rings in general before you head off to buy or have one made. These factors include knowing the source of the emeralds, their common cuts and sizes, the ideal colors for them, care for emeralds, and distinguishing between real emeralds and their synthetic versions. All of these factors can help you make an informed purchase decision. Both real and synthetic emeralds have the same exact chemical position but there are signs that can help you differentiate one from the other. Real emeralds would have their green color in shades of anywhere from bright forest to teal while their synthetic counterparts would have paler hues and would appear very clear with very few, if at all, inclusions or hairline cracks. Real emeralds would include some fissures on their surface, albeit slightly, and appear cloudy. Although synthetic emeralds are technically not considered fake since their composition is the same as that of real emeralds, they still do not have the overall “character” of real emeralds since they can be created in laboratories as less occluded and clearer gemstones. The highest quality emeralds shine brilliantly from inside and have no inclusions or cracks which are visible. Genuine emeralds have secondary hues and no additional, non-green undertones like yellow. 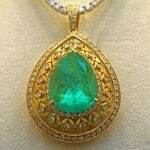 Moreover, real emeralds do not exhibit “fire” or intense flashes of color like fakes do. Some cloudiness in emeralds are acceptable because they are unavoidable but, still, these should not detract from the stone’s shine. 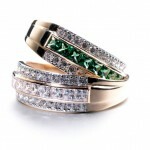 Emeralds set in vintage engagement rings are sized from 0.5 to 1.5 carats. 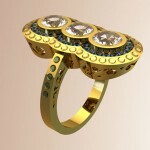 Larger rings, pendants, and bracelets, though, could have sizes of up to 30 carats. An emerald set on an engagement ring will stand out from its setting because it looks smaller from its top view but it can actually weigh more in terms of carats and will therefore cost more. Emeralds at two carats and above already cost thousands of dollars. The “Emerald Cut” is typically rectangular in shape with angled and sharp corners. 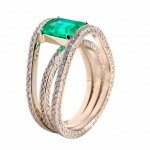 Emeralds usually have this classic cut for vintage rings and tennis bracelets. Oval and square cuts are also popular. The former looks best on bangles and pendants, albeit a large emerald is required in order for this gemstone’s shine to show. A square-cut emerald is popular in an engagement ring since it looks similar to square-cut diamonds. Emeralds are currently sourced from the South American countries of Brazil and Colombia and the African nation of Zambia. All three places are renowned for their excellent commitment to the mining and subsequent production of emeralds. 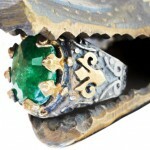 There are certain rules of thumb, however, for an emerald to be considered the highest quality in these three locations. Colombian emeralds have a deep, forest green color with hints of blue sought after by the most discriminating emerald connoisseurs. The emeralds from Colombian mines have a color that is comparatively more intense than those found in Brazil which feature brilliant shine, albeit without a milky or yellow tint. Emeralds mined in Zambia, the world’s single biggest producer of this gemstone, have a bluish green color. Cracks or inclusions can still be found in the best of emeralds. 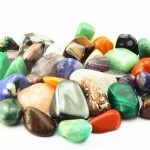 These, however, only increase the character of this gemstone. The downside is that some of these cracks or inclusions make emeralds susceptible to brittleness and breakage. Caring for emeralds is not all that difficult. 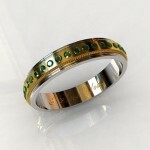 Treatment with cedar oil is done once every two or three years by professional jewelers to keep emeralds looking new. Genuine emeralds that have double or triple layers added to them to make them appear larger as well as more valuable are known as doublets and triplets. These emeralds have augmentations with the addition of glass or even plastic layers over them which are colored in a more intense shade of green to make them look as attractive as possible. If you see there are layers that make up the gemstone when you look at the emerald from the side, your emerald has either a doublet or triplet. This does not mean that your emerald is a fake. Authentic emeralds do not have perfect clarity. If you look at an emerald from a relatively close distance with a loupe, you will see flaws like bubbles, lines, and crystals in it, albeit an emerald of the highest quality will have fewer of them. 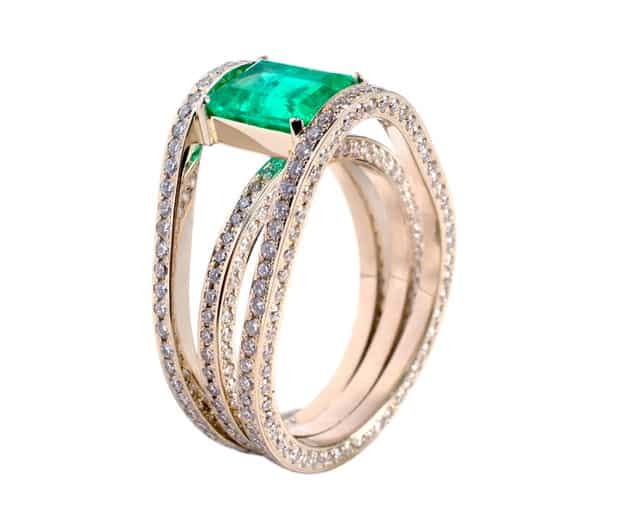 Those born in May have emerald for their birthstone but, lately, individuals who are getting married and want to make a statement choose vintage wedding rings made of emeralds. The gemstone is often cut “en cabochon,” meaning it has been shaped and polished instead of faceted, that results in a rounded, or convex, obverse with its flat reversed. 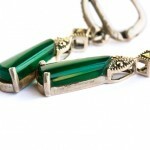 Emeralds can withstand en cabochon cuts because of their hardness. To protect yourself against purchasing fake emeralds, ensure that you buy these gemstones only from reputable sellers or gemologists. 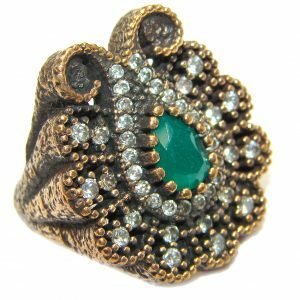 A gemstone specialist can tell you the true value of your chosen vintage emerald ring with the use of the latest examination techniques and tools. Additionally, ask for a document certifying the emerald’s origin or send the gemstone for analysis in a gemology lab.